In the 80-odd years it has been developing films, Disney has become renowned for their films highlighting the hero vs. villain/fairytale narrative. However, their latest feature sees them break this mould in its first feature-length theatrical sequel since Fantasia 2000. Starring John C. Reilly and Sarah Silverman, Ralph Breaks the Internet takes place six years after the events of Wreck-It Ralph. Ralph and Sugar Rush racer Vanellope are now best friends and mostly enjoying life in Litwak’s Arcade but when Sugar Rush is in danger of being scrapped, the pair venture into the arcade’s latest addition – the Internet – to save Vanellope’s game. Amid the countless product placements, cameos and fast-talking pop-ups, Ralph Breaks the Internet brings a modern story about friendship. On one side, we have Ralph – the misunderstood ‘bad guy’ who has finally found someone who shares his childlike nature. On the other, we have Vanellope – a youngster who has grown tired of her predictable, humdrum life in the arcade. When they discover the internet, Vanellope sees a world of opportunities, causing Ralph to become insecure about his friend’s ‘loyalty’ and what it means for the future of their friendship. Rather than keep their camaraderie on a familiar level, screenwriters Phil Johnston and Pamela Ribon recognise that with time, people change, and incorporate a mature approach to the film’s character development. While the older Ralph is childishly set in his ways, the younger, more complex Vanellope comes across as the grown-up of the pair as she quickly opens herself to the ways of the Web. In addition, the former’s misguided attempts to retain their friendship only highlights his dependency on Vanellope, as well as his reluctance to acknowledge that there is a world outside of Litwak’s. It is amazing to see how directors Johnston and Rich Moore manage to encapsulate the Internet from so much content. In a melee of eye-popping colours and energy, everything easily resonates with audiences of all ages, whether it is key internet brands or social media – with the unsurprisingly thorough world of Disney being a standout. Fortunately, the directors and screenwriters prevent the setting from completely overriding the film by ensuring that Ralph and Vanellope at the heart of the story. 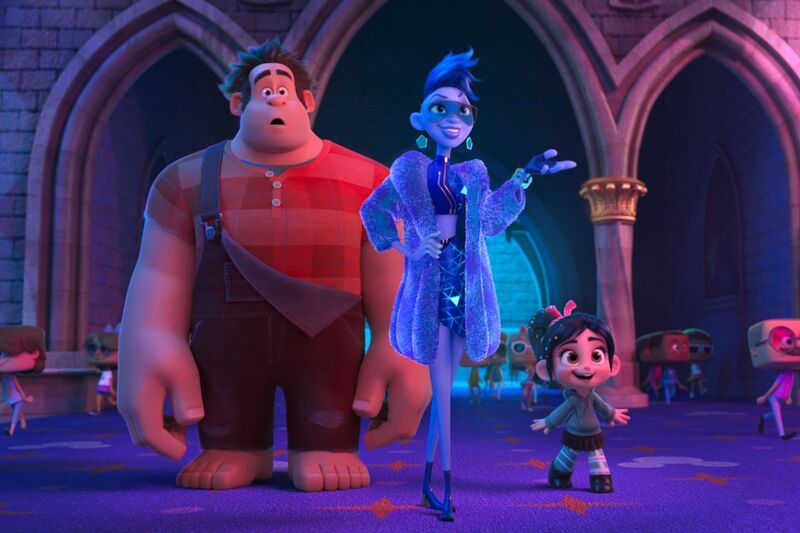 Along with the smart and heartwarming script, as well as the great vocal performances – especially Gal Gadot and Taraji P. Henson, who bring a new level of sophistication to the otherwise simplistic characters – Ralph Breaks the Internet delivers something that is not only as relatable but as enjoyable as its predecessor. Ralph Breaks the Internet is sweet, funny and clever, proving that Disney can create something more relatable than your typical fairytale. Ralph Breaks the Internet is out in cinemas on 30 November.